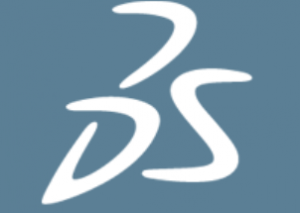 Dassault Systèmes, a world leader in 3D design software and 3D Digital Mock-Up and Product Lifecycle Management (PLM) solutions, has released its International Financial Reporting Standards (IFRS) unaudited financial results for the first quarter ended 31 March 2014, which showed the company was moving along the right lines to achieve its financial and growth objectives for this year. According to the press release by Dassault Systèmes, the company has managed to achieve organic new licenses revenue growth of 6% in constant currencies, as well to increase its Asia non-IFRS revenue by 10%, driven by strong new business activity in Japan, South Korea and China. In addition, Dassault Systèmes ENOVIA software revenue went up 12% driven by accelerated V6 adoption, with several of its other software product lines — such as SOLIDWORKS (5%), CATIA (1%) and other software (13%), as well as the double-digit growth for SIMULIA — posting positive software revenues, which contributed to the company’s overall software revenue increases of 4%. “2014 is about increasing the value of our solutions for our customers thanks to our 3DEXPERIENCE platform and Industry Solutions Experiences strategy. It is becoming crystal clear that our solutions are critical to help customers create innovative products and experiences influencing their top-line growth,” commented Bernard Charlès, Dassault Systèmes President and Chief Executive Officer. The company’s net operating cash was €182.3 million in the first quarter of 2014, compared to €185.0 million in the 2013 period. According to the quarterly report, the company has completed cash acquisitions of €159.9 million, completed share repurchases in the amount of €53.5 million and received cash for stock options exercised of €13.3 million. “We were encouraged to see growth in new licenses revenue, increasing 8% in total, and 6% on an organic basis in constant currencies, driven by strong ENOVIA growth and in spite of headwinds we experienced, most notably in mining and aerospace, affecting new licenses as well as rentals evolution,” Thibault de Tersant, Senior Executive Vice President, CFO, commented.